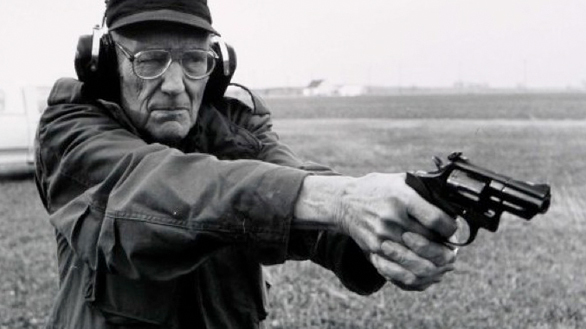 William S. Burroughs is one of The Scribbler’s staple authors. To read his work is to understand our mission. Which is why we were so excited to hear about a discussion forum taking place this weekend on the famed beat author. The Last Tuesday Society, of 11 Mare Street London, hosts Oliver Harris, Professor of American Literature at Keele University for a night entitled: William S. Burroughs and the Torso Murderer. To coincide with the publication of a new, 25th-anniversary edition of Burroughs’ second novel Queer, Harris has finished reediting the early trilogy of novels preceding the notorious Naked Lunch. The story behind Queer starts in the early 50s in Mexico City when the fledgling author and heroin addict, accidentally shot and killed his wife, Joan, in a drunken re-enactment of William Tell. The experience served as a catalyst awakening a creativity which produced the masterpieces The Naked Lunch and The Soft Machine. This week’s talk follows a trail of evidence from letters, manuscripts, photographs, Shakespearean references, Plato, pulp publishers, vaudeville acts, and a torso murderer (a reference to the infamous Cleveland Torso Murders of the 30s which were investigated by the same police officer who successfully convicted Al Capone). Over the years Burroughs’ work has been a major influence by musicians and artists like Lou Reed, Joy Division, Tom Waits, Nick Cave and Kurt Cobain. Oliver Harris is the author of seven books and several articles on the Beatnik writer. He has also edited Burroughs’ early trilogy of novels for Penguin Books including Junkie and Queer. Will you be attending the Torso Murderer talk? Do you feel Burroughs is rightly labelled as one of the most influential writers of the 20th Century? Favourite book? Go on…tell us.